He is particular, precise, and plays with the concept of boundaries. 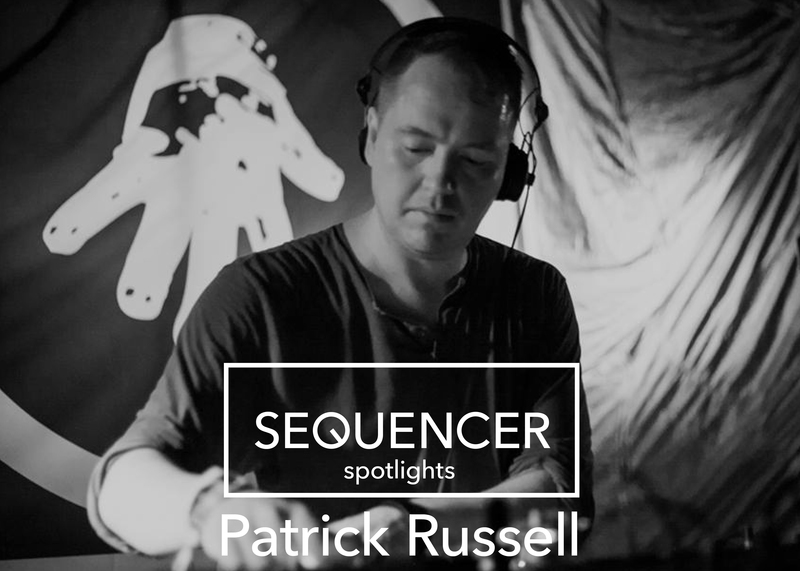 These qualities are the driving force for Patrick Russell as both a selector and a DJ within the underground. Russell grew up in a rural area outside of Detroit proper. During his early years he became enraptured by sound. In the country he experienced a spectrum of natural soundscapes on a silent background. In the industrial prairie of Detroit, city sounds and acid lines crack through the quietude. Eventually, he was introduced to DJing through his teenage friend Phil, who would visit his sister in 1992 to go to N.A.S.A. raves in New York City. With this exposure and the evolution of his youthful soundscapes, he reached new sonic ground. He began studying the DJs he danced to. Initially he would watch and learn during sets from Mike Huckaby and D-Wynn at a club called Industry in Pontiac, Michigan. Soon Daniel Bell became a guiding inspiration, while Richie Hawtin dropped Russell deeper into a world of strange sounds and acid. Meanwhile, he has been crafting his art as a DJ since the early ‘90s. His method: creating a long format, hypnotic music narrative. He makes his choices carefully and in a definitive manner; he plays to bring the consciousness of a listener in and out until, ultimately, in an altered state. By doing so he is able to provide space for others to explore outside of their comfortable boundaries on the floor. This technique and taste is what brought him deeper into, and eventually a resident of, Detroit’s Interdimensional Transmissions. He says he has been a fan of Ectomorph since their first record on the label. Subsonic Vibrations was a 1995 release of four electro tracks and three loops. Russell says, “To me those tracks were hugely influential, and they carved out a special niche at the time due to the stripped down, minimal freakout factor that operated outside the usual Detroit electro template.” As Detroit worked its way out of a scene slump during the early 2000s – pumping electro, techno and acid brought life back into the city. This motivation is what actually inspired the beginning of No Way Back. Beyond the imprint, IT is a collective of like-minded folks on a similar sonic mission. Co-conspirators Erika Sherman and Brendan Gillen work along with Derek Plaslaiko, Michael Servito, Carlos Souffront, and others to present both parties and productions. As a DJ he has become acclaimed worldwide. He pulls from his realms of sound and clearly follows a “no filler” mantra. This makes him not only a high-caliber selector but one that is able to succinctly navigate the listener through space and time. With a breadth of knowledge he is a versatile DJ and if you have experienced a set from Russell it is beyond clear he is a digger with a streamlined record collection. Maybe you have seen him crank a slamming set to a packed ballroom at No Way Back, or weave intricate soundscapes during his ambient set at Labyrinth in Japan. By harnessing this storytelling and mapping ability it has made him capable to play extended sets, such as the 10-hour stint at The Bunker/Unter 36-hour party. As a producer he has had a few releases. In 2008 Valt Trax, a collaborative EP with Seth Troxler, was released through Circus Company. Additionally, through The Bunker he put out a 3-track EP with remixes of Clay Wilson, Romans, and Zemi. If you’re in the North East this weekend Patrick Russell makes his Buffalo weekend debut for the next installation of REDUX this Saturday, January 13. Not to mention he will be playing a special ambient set the following night.